I remember the first time I saw a Van Gogh painting. I mean, really saw a Van Gogh painting. I stood in front it the same way that I’ve stood in front of each of his paintings that I have seen since. I wondered about him. About his life. About his painting. About his anxiety, synesthesia, and depression. About how it all came together in brilliant color on a piece of canvas. That was long before I knew that he had epilepsy or how much of an impact epilepsy had on his life. And on mine. When my son was first diagnosed with epilepsy, I did what I imagine many parents do. I went to Google and searched for famous people with epilepsy. I needed to see examples of other people from history that were able to succeed in spite of their condition. 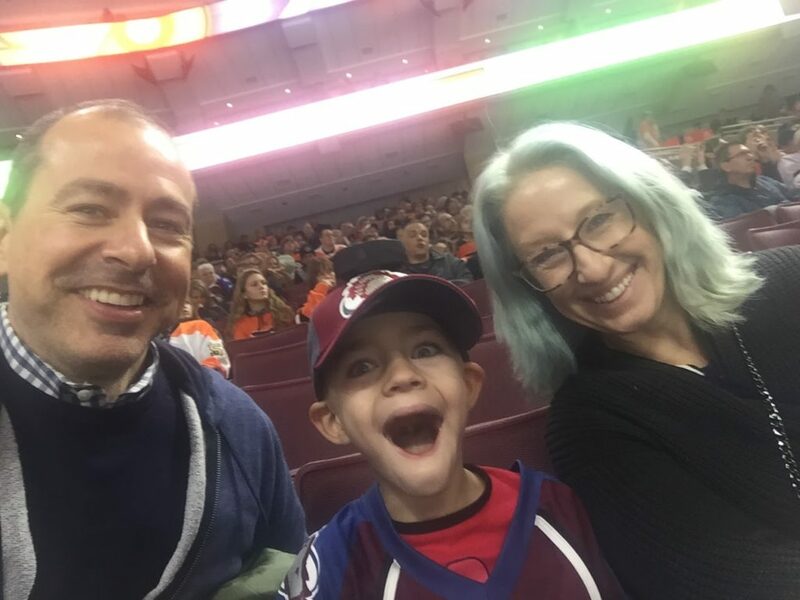 I needed to know that the endless possibilities that my son came into the world with were not taken away because of the faulty wiring in his brain. I needed some hope for his future and I thought the way to find it was by looking to the past. That my search brought me closer to Van Gogh was a bit of a mixed bag. On one hand, to learn that my favorite painter had the same condition that my son has was an incredible coincidence. When I look at one of his paintings now, I wonder how much of his epilepsy shows up in them. How much of the way that he saw the world was due to his epilepsy? 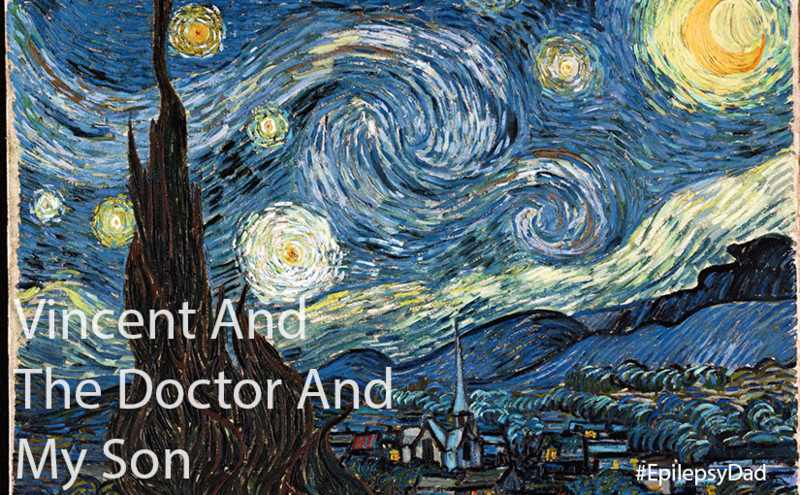 As I wrote this post, I pulled up an episode of Dr. Who where he visits Van Gogh. There is a scene where Van Gogh, the Doctor, and his companion, Amy, are lying in a field looking at the night sky. Van Gogh explains the colors that he sees and the wind in the stars and the sky transforms into one of Van Gogh’s most famous paintings. 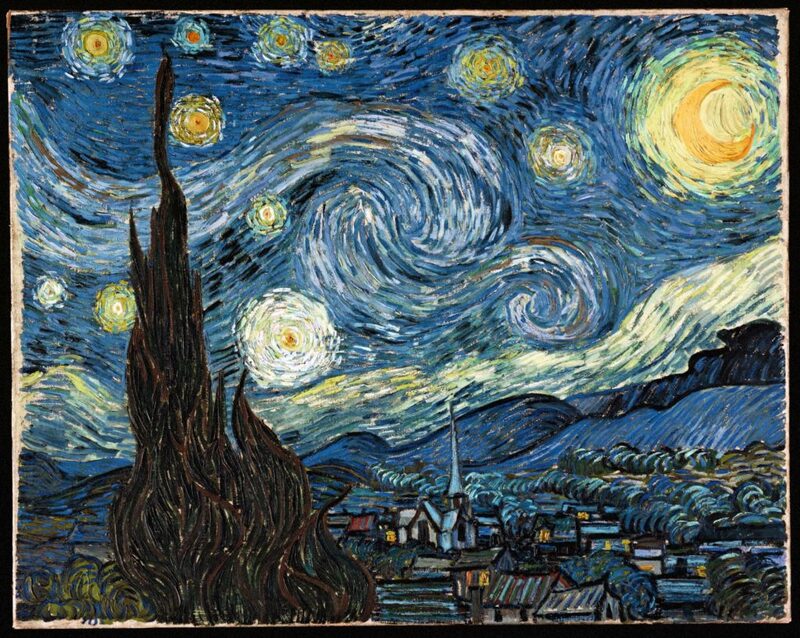 It’s hard to look at a painting like Starry Night and not think of the auras that some people with epilepsy see. Will my son see the world as beautiful as this? On the other hand, knowing what I did about Van Gogh’s life and how it ended filled me with dread. Did epilepsy or the medications he was on cause any of his other conditions or make them worse? Did it contribute to him taking his own life? I’ve met people with epilepsy who battle depression and I’ve read about people who lost that battle. Is that what lies ahead for my son? He’s only eight. In the episode of Dr. Who, the visit from the Doctor is in the same year of Van Gogh’s death. In one of the final scenes, the Doctor takes Van Gogh to the present to show him what becomes of his work. The art curator describes Van Gogh as someone who “transformed the pain from his tormented life into ecstatic beauty”. The Doctor and his companion return Van Gogh to his time and he seems refreshed. But when they return to the present, they learn that their visit did nothing to rewrite the past. While they were able to give him a few more good things, the bad things in Van Gogh’s life were still too much. When I started this post, I wanted to write about epilepsy and creativity. I wanted to highlight Van Gogh as an example of someone who created amazing things in spite of his epilepsy. Or maybe because of it. I wanted to talk about my son and how he has an amazing imagination and an openness to share the way he sees the world. But every life is a pile of good things and bad things. When I see my son’s anger rise or his mood darken, I sometimes think of it happening as a teenager or a grown man. I think about the years of seizures and medications and side effects ahead of him and I crumble. But he is only eight. There is no way of knowing what is in store for him. So instead of letting the bad things spoil the good, it’s up to me to encourage my son to share the way he sees the world because there is beauty in that. Because there is beauty in him that the world needs to see. When I was finishing this post, I had the episode of Dr. Who on the screen for inspiration. My son walked by and asked what I was watching, and I told him all about Van Gogh. I told him that he was a brilliant painter who also had epilepsy. I said that he saw the world in a different way and used paint to show the world what he saw because he was an artist. NEXT UP: Be sure to check out the next post tomorrow by Leila Zorzie at http://www.livingwellwithepilepsy.com. For the full schedule of bloggers visit livingwellwithepilepsy.com. My son just turned 8 years old. It’s been amazing to watch the changes in him over the last few years. He’s reading more on his own. He put together a 500-piece Lego set by himself. He’s doing more things by himself that he used to need our help with. This stage of life and of development has continued to surprise me. Many things have not changed, though, too. He’s still having seizures in the morning. He’s still juggling medications and side effects. He’s still on the strict ketogenic diet, which means he still can’t eat what he wants. He still gets constipated. He still feels different. He is still having a hard time making it through the week and sometimes through a school day. We’ve been on this part of our journey for more than three years. More than two years on the diet. More than ten medications. Hundreds of doctors appointments, tests, and therapy sessions. We’ve seen countless seizures, and they keep coming with no end in sight. Earlier this year, I read Endurance about Ernest Shackleton’s journey to Antartica. It’s an incredible tale of a failed overland expedition to the content. The title of the book was taken as much from what the explorers went through as it was from the name of their ship. 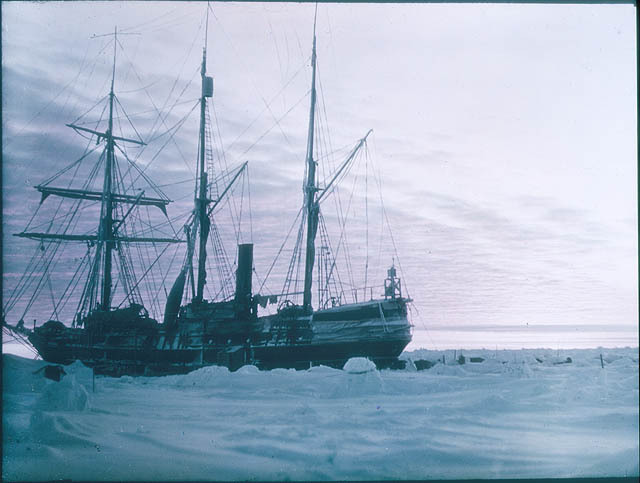 They survived the loss of the Endurance, treacherous conditions, and a lack of food in an unforgiving part of the world. Along the way, groups were left behind to establish camps while others continued the search for help. Imagine the feeling of watching your best chance of survival disappearing in the distance, hoping they will return. Some days I feel like Shackleton, pushing through, fighting for my son, stopping at nothing until I can save him. We’re trying to function, to get up every day, to go to work, to try to live a normal existence. Because we have to. Because there is no alternative, even under the siege of enormous waves. Because, like Shackleton believed, there is too much at stake. Other days, I feel like the men he left behind. Stranded on an island, waiting, and hoping that someday we will be rescued. Every day, they woke up, walked down to the shoreline, looking for a ship. For months, that ship never came. Like them, we’re afraid. Every day, we wake up and look to see if we will be rescued. Instead, we watch our son lose control of his body. Every day, we see how hard he fights. Every day, for three years, with no end in sight. Most days, I fluctuate, rising and falling like the cold waves crashing on to the frozen shore. I am not brave enough or strong enough to face every day like Shackleton. It tears me up to see what is happening to my son. To see him struggle every day in so many ways. It strips away my courage and leaves me wanting to be rescued. But the unbounded love I have for my son and my family forces me to soldier on, to fight for everything we get, and to not let epilepsy take more than it has. 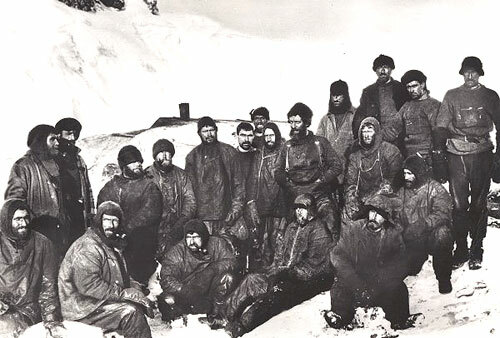 Eventually, Shackleton’s journey came to an end. After more than a year of impossible challenges, Shackleton and his team found help. They went back and rescued the rest of their men. One day, those men that were left stranded make their way to the shore and looked out on to the horizon to see their captain returning for them. To see their lives returning to them. I can only imagine the glory of that feeling. 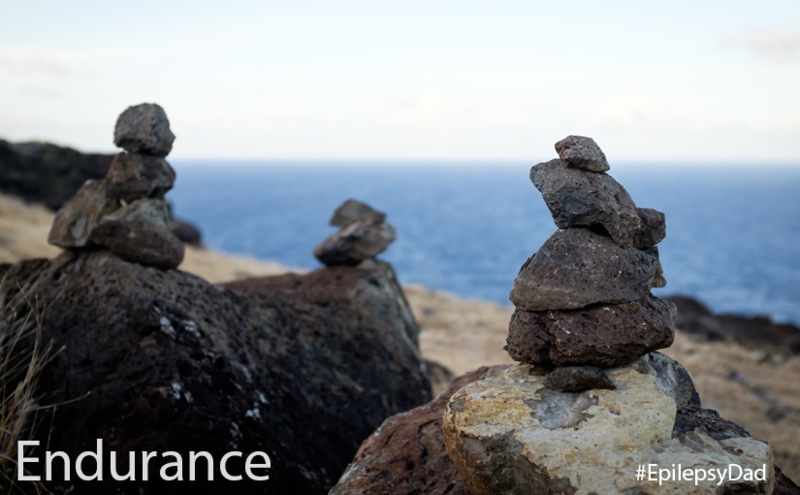 We are standing rocks, piled together on the shore looking in the expanse before us. I long for the day when I will look out on to the horizon and see a different life than the one we have been leading. A life where my son doesn’t have seizures. A life where he doesn’t struggle to do what so many others take for granted. A life where he can be free. We’ve seen many ups and downs over the last few weeks. An increase of dosage for one of my son’s new medications brought back unwelcome side effects. His seizures are only slightly more under control than they were before, but he’s exhausted and has a hard time sleeping through the night. His mood and behavior have been bouncing around from stable and happy to angry and defiant. When it’s at it’s worst, little incidents explode into big ones. The escalation is so fast that it’s jarring and catches us off-guard. It’s so fast and the situation is so frustrating that we don’t always respond in the best way. Then we find ourselves in the middle of the tornado. He’ll say mean things. He tells us he wants us to throw everything away and that he deserves it. I can sense the shame and guilt swell inside and overwhelm him. We hold him and tell him that we love him and wait for the storm to pass. When it does, there are usually tears and remorse and regret. As a father, these moments rip me apart. These side effects are cruel, especially for someone his age. Between the side effects, the diet, the appointments, and the seizures, he has little time to be a kid. There aren’t many chances for him to be free, to make a mess, and to not have the complications of his life burden him. There aren’t many chances for us to let our guard down, either. We’re always on the edge worrying about him, trying to keep him safe and regulate these side effects. We’re as confined as he is. But, sometimes, we find opportunities where we can all have fun and enjoy the moment. 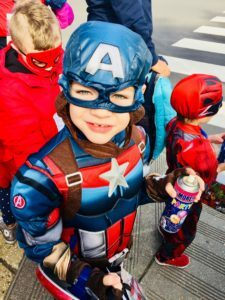 My son loves dressing up as Captain America, so my wife planned a Super Hero Scavenger Hunt for his birthday. He and his friends had to chase down the evil villain the Snake Robber, the role that I was taking on. The idea of running through the streets with a mask and stuffed snake around my neck made me anxious. I’m a shy, quiet, reserved individual that follows rules and avoids chaos. But I went into it with an open mind and the singular thought that it would make my son (and wife) happy. I made my way to the location where the superhero party would encounter me for the first time. I waited nervously on a bench in the park while curious onlookers moved further away. Across the park, I saw one of the kids spot me and point in my direction. Then, they charged. 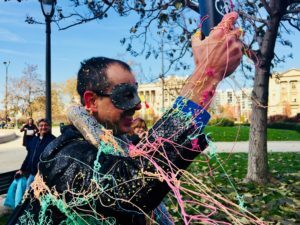 Within a minute, they had covered me with Silly String and laughter. My son had a huge smile on his face as he and his friends chased me around the park. Then I used my freeze ray to, well, freeze them and escape to the next location. I had a huge smile of my own on my face as I ran to set up the next battle. This time, the kids trapped me until I told them that I hid a dozen of their teddy bear friends in the park. While they looked for them, I escaped again. Eventually, they caught up with me and saw me entering my lair to assemble a machine to steal their powers. In the final battle, the superheroes found me near the pool assembling my machine. I froze all the heroes again except for Captain America who used his shield to deflect the ray. He advanced on me while his friends watched and defeated me by pushing me into the pool. 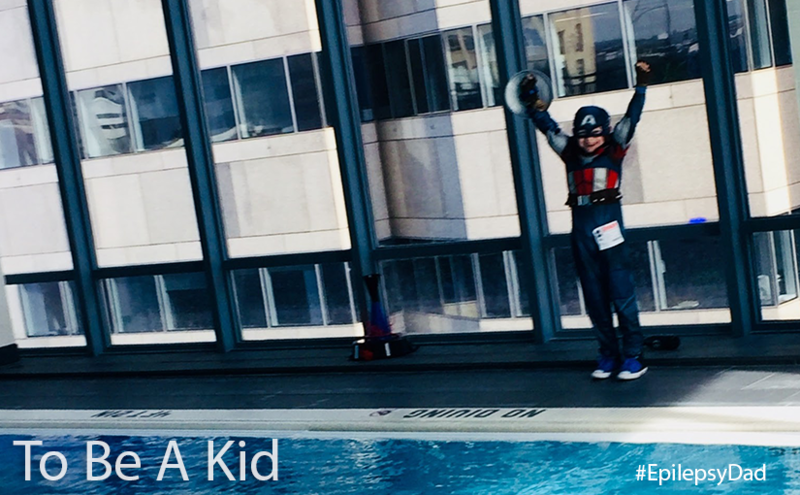 As I laid in the pool, I looked up to see my son with the biggest smile on his face and his arms raised in victory. Behind us, I could hear his friends screaming and cheering him for him. Captain America had saved the day. At that moment, there were no side effects. No appointments. No seizures. There was just my son being happy. And being a kid.